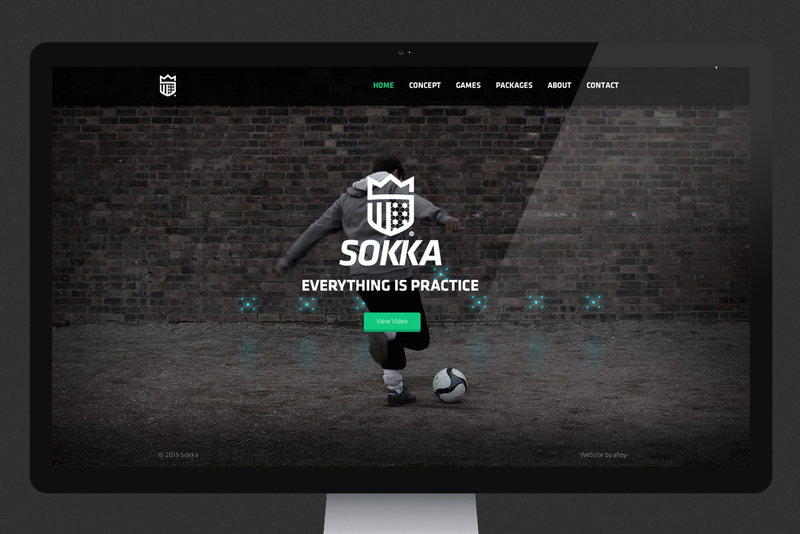 Ahoy has conducted all branding and design work for Sokka, a series of interactive football games designed by England and Liverpool legend Kevin Keegan. The Manchester digital agency was responsible for creating the brand's identity and designing and building the website. It also created a promotional video and managed various print requirements, including business cards and promotional material. Aimed at all ages and abilities, the Sokka games encourage users to kick a football against electronic sensors that monitor technique and skill. Mark Stringer, managing director at Ahoy, said: "Sokka is a great concept for all ages and abilities. At first sight the game looks deceptively simple and yet it’s incredibly high energy, effective and fun. "We have been lucky enough to work with many entrepreneurs that allow the design team a lot of creative freedom that is reflective in the work produced. The team has created an identity that has allowed Sokka to confidently launch a brand it can be proud of." Keegan, who also managed Manchester City and Newcastle and is now based in the North West, added: "As a new brand on the market, it was important that we partner with an agency that we could trust to deliver a high quality service at the best value for money. "I chose Ahoy because of the team’s creativity and passion. Their approach is open and engaging which encourages outstanding creative collaboration. I’ve thoroughly enjoyed working with Ahoy to develop our brand and have already started to recommend Ahoy." Other recent briefs won by Ahoy include the rebrand of two restaurants at The Midland in Manchester.